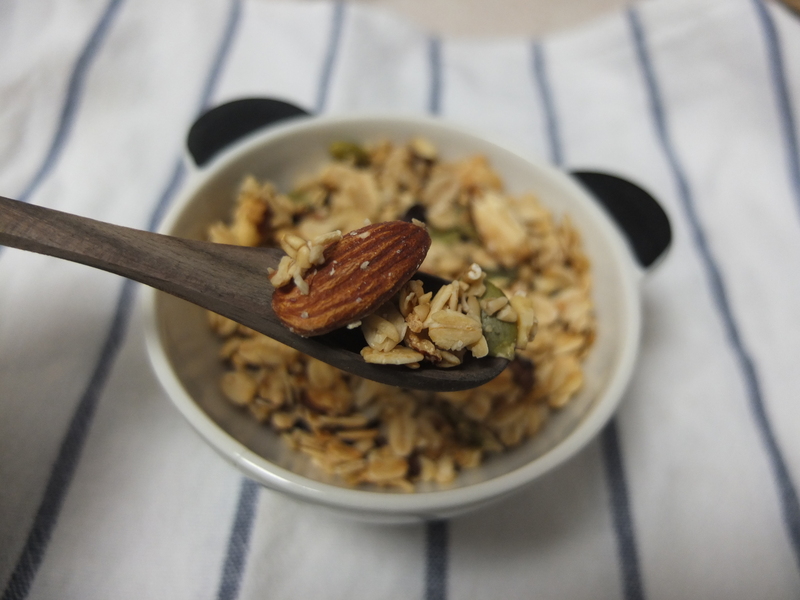 Making your own granola may seem like a lot of work but it is really not. All it takes is mixing the ingredients in a bowl, pouring said mixed ingredients on to a baking sheet and placing said sheet into the oven to bake. It is really that simple and the best part is that you can customise it according to your preferences. *If you want clusters, let the granola cool in tact on the sheet tray. After the granola has cooled down, you can break it into clusters of your preferred size. They also make great gifts. 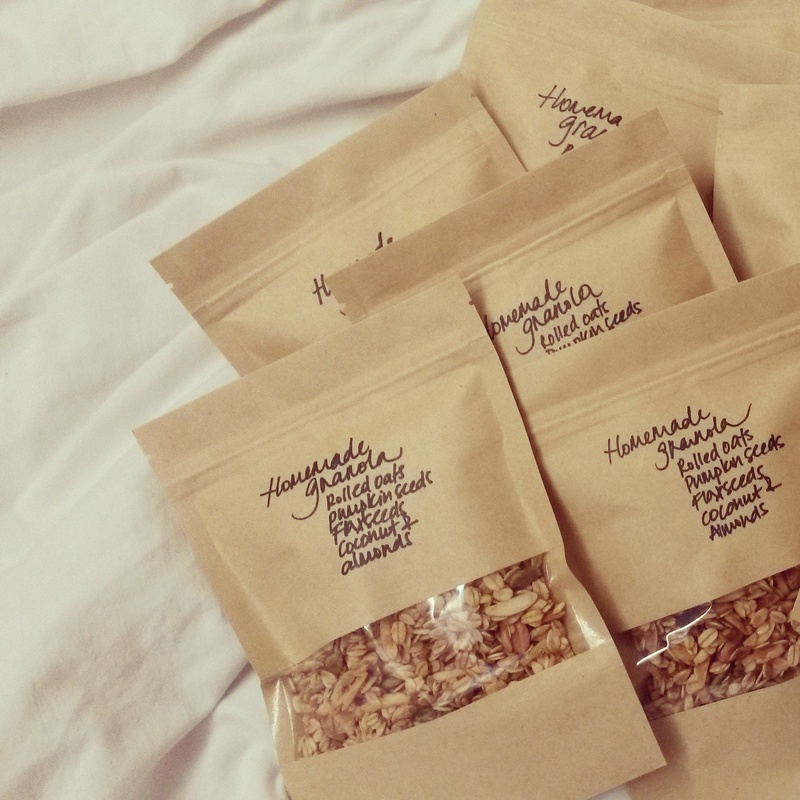 Here is a picture of the granola I gave away as Christmas presents last year.